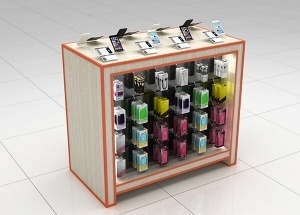 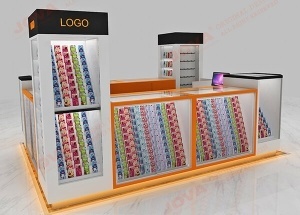 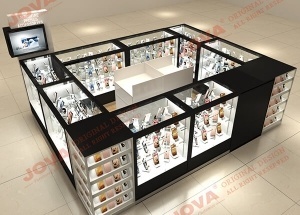 These mobile accessories display counter are made for a USA phone case kiosk project, and mainly white and orange baking paint finished. 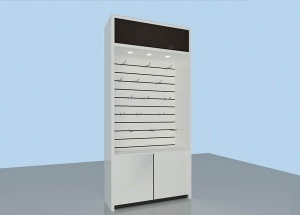 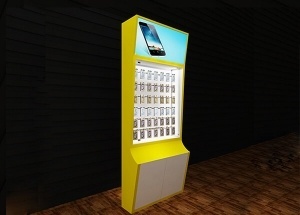 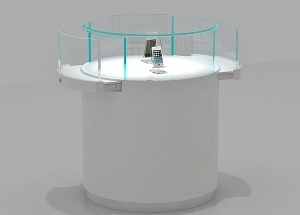 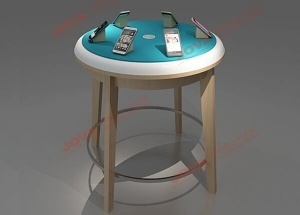 This phone case kiosk was made for USA mobile retail kiosk project. 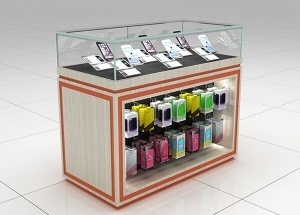 the cell phone accessory display were mainly black baking paint finished.